Starting on 12th January 2018 and extending until the 20th January, is the 25th time that this gourmet event takes place and will entice visitors with culinary delights by ten guest chefs. The Kempinski Grand Hotel des Bains is the setting for the Grand Opening of the St. Moritz Gourmet Festival. All the chefs and festival hosts as well as many well-known personalities from the international gourmet scene gathered here to launch the week. The highly decorated top chef in Switzerland has developed her very own distinctive style. Spectacularly aromatic, straightforward, but technically complex compositions are her trademark and have made her Stucki restaurant in Basel a popular destination for gourmets from all around the world. For every dish, Grandits selects a principal aroma and a main colour. “I take a base product, which might be a piece of meat, fish or even an egg. To this I add a vegetable, which generally determines the colour of the dish. The colours are therefore a good aid. They structure my work, while at the same time enabling me to be creative within these structures,” she explains. The village of Pontresina in winter, at dusk. “Syrco Bakker is highly talented and cooks with the same passion I do,” says his mentor, the celebrity chef Sergio Herman. Now aged 33, the Dutch chef with Indonesian roots was 22 when he started as a sous chef in Herman’s legendary three-star gourmet palace, the Oud Sluis. Since 2010, Bakker has been the chef of Pure C, which Herman opened in Strandhotel Cadzand right on the North Sea in the Netherlands. Bakker’s cooking style skilfully adds an Asian touch to modern Flemish gourmet cuisine. The Schlitteda, an Engadin folk custom, by Lake St. Moritz. The women are dressed in Engadin Sunday costume. View of frozen Lake St. Moritz and of St. Moritz Dorf with Badrutt’s Palace Hotel. In background the Piz Albana (3082m), Piz Gueglia (3192m) and the Corviglia ski area with the Piz Nair (3022m). The career of Ian Kittichai, Thailand’s most famous celebrity chef, is the stuff of fairy tales – from street food to fine dining: as a child, he would head to the market with his mother each morning to buy the best ingredients for curries, which they would then offer from a little handcart in the streets of Bangkok. Kittichai learnt all about haute cuisine in England and Australia, followed by time in France, Spain (El Bulli), the USA and Japan as formative phases in his career. At the age of just 30, he became the first Thai Executive Chef of a five-star hotel. Ana Roš was named World’s Best Female Chef in 2017. The avant-garde dishes created by the Slovenian chef are unique compositions, always according to Roš’ philosophy: “Environment plus season and me.” The treasures of nature that she uses virtually grow on her doorstep. Her restaurant Hiša Franko is located in the small town of Kobarid, which lies in a picturesque valley surrounded by unspoilt meadows, lakes, rivers and forests. Her restaurant was secret tip for gourmets, until the Netflix series “Chef’s Table” made the culinary skills of Roš famous worldwide virtually overnight in 2016. View of the cable car operating between Celerina and Marguns. At the foot of the ski area, the village of Celerina; behind it, the snow-capped mountains and the village of Pontresina. In the world famous National Gallery Singapore, the two Michelin star chef Julien Royer likes to thrill his guests with what he calls “essential cuisine” in the Odette restaurant. The 34-year-old French chef previously caused quite a sensation at JAAN in the Swissotel Stamford in Singapore, before opening Odette together with the Lo ” Behold Group. His career has taken him from Paris and the West Indies to London, collaborating with French master chefs such as Michel Bras, Bernard Andrieux and Antonin Bonnet along the way, who helped shape the culinary style of the Odette chef today. After stints in a number of star-studded restaurants in Europe and inspired by his exploration of exciting cuisines of the world, in 2002 the chef (now aged 45) and his sommelier wife, Kim Veldman, together opened De Leest in the small provincial town of Vaassen in the Netherlands. In addition to the top accolade of a Michelin star, Boerma was nominated as one of the 50 bests chefs in the world by Le Chef. In 2016, he also put his name to the kitchen of the White Room in NH Grand Hotel Krasnapolsky in Amsterdam. Snow-night at Corvatsch – View from Silvaplana towards the longest illuminated ski slope of Switzerland (4.1 km). The illuminated slope begins at the middle station of Corvatsch and goes along the tree notch of the Surlej slope down to the station at the bottom which is just above the houses of Surlej. In the foreground the lights of the village of Silvaplana. “It is attitude rather than talent that is the key to success,” says Dominique Crenn, who was crowned World’s Best Female Chef in 2016. The native French chef seeks inspiration for her creations in the fine arts. To set the mood, she writes a poem for each of her menus. The result is a still life of modern culinary art. It is an expression of her personality, because living and cooking for guests is like a poem to her, one which she loves to share with others. ENGADIN ST. MORITZ – Cross country skiers skating along the ski trail between Celerina and Samedan, with the Piz Albris (3166m) in the background. The two chefs Ray Adriansyah (Indonesia) and Eelke Plasmeijer (Netherlands) met and developed mutual professional respect for each other in Jakarta. Together, they made the move to Ubud on the island of Bali to take up the culinary helm at the Alila Hotels ” Resorts. This is where the Balinese Adi Karmayasa started his career, as a restaurant manager. In 2013, the trio fulfilled their dream of celebrating avant-garde cuisine by opening their own restaurant Locavore, which uses only Indonesian products. Two-star chef Jörg Sackmann is part of an eminent family from Baiersbronn in the picturesque Black Forest that has been running the Hotel Sackmann here for 90 years. After his apprenticeship and journeyman’s years with major pioneers such as Harald Wohlfahrt and Eckart Witzigmann, Sackmann put the hotel’s own Schlossberg restaurant on the map for gourmets in 1993 and continues to spoil guests with his culinary skills today. He also delights large TV audiences with his clever recipes through regular appearances on the programme “ARD-Buffet”. ENGADIN ST. MORITZ – . A group of three people enjoys a drink on the terrace of the Gluenetta restaurant in the Corviglia ski area in Celerina-Marguns. Program and tickets: check here. 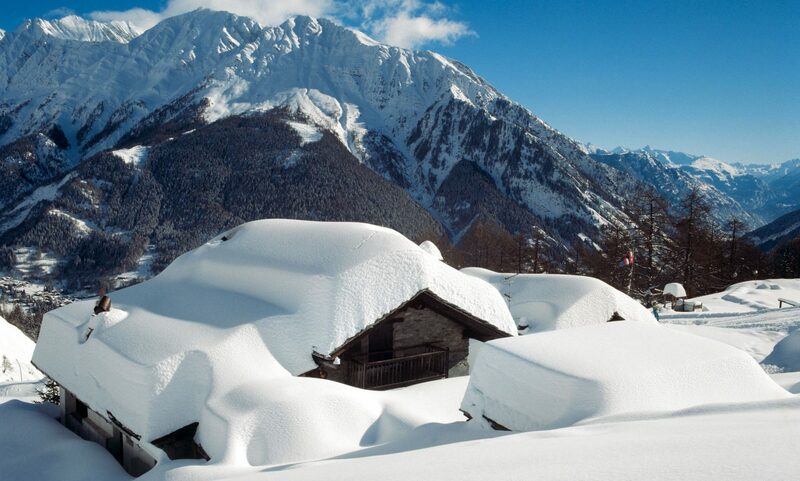 St Moritz is one of the world renown ski resorts, such as Courmayeur is in Italy and Lech is in Austria. Keep on reading ski news at your fingertips here. More info on the St Moritz Gourmet Festival on the Switzerland Tourism website. ENGADIN ST.MORITZ – The finest chefs from around the world, the most talented newcomers, and top names from the local hotel and restaurant scene all come together at St. Moritzøs Gourmet Festival.